The following is the December 2009 Letter from the Editor from The Voice, Principia’s Upper School Student Publication. Readers will remember that until the 2009 change in the Free Speech Policy at the College, questioning and discussing the homosexual policy was considered to be “homosexual activity” (and grounds for dismissal). The editor is very careful not to take sides in the debate, but reminds every one of the importance of coming together as a community and not letting error divide them. Principia’s homosexuality policy has been a topic of debate primarily at the College in previous years. However, the policy has come up more prominently at the School recently. Firstly, let me just say that this is an issue that can create barriers between people, yet it should be a point on which our community comes together rather than taking sides. We need to address this issue immediately because there is too much focus on the physical aspect of this issue. As I, and most of us, have learned in Sunday School, our physical senses are usually the basis of all error that attempts to come into our lives. There fore, we need to look beyond those physical senses. Those senses are trying to trick us into turning against each other. Let us come together with an understanding that in Christian Science we learn that every single person and thing that is on this earth is a child of God. Every single thing. With that in thought, we should not be thinking about relationships in a physical aspect, but rather from a deeper mindset. 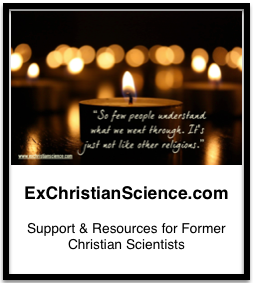 As Scientists, we should focus on our spiritual relationships. A true relationship based on love is the best thing in the world. Relationships should be about care, devotion, commitment, joy and based on Truth. Each of our relationships with God are based on those beautiful qualities. There is nothing sinful about the relationships that are between us and God. If a relationship is solely love, care, devotion and those other qualities, then should we not cherish it? In today’s society there are fewer and fewer relationships that are made up of those qualities. We need to take a stand immediately against error and its attempts to trick us with our physical senses. No matter your opinions about the homosexuality policy, I implore each of you to spend some time reading the Scientific Statement of Being, found on page 468 of the Science and Health. While we say it every week in Sunday School, there is so much inspiration in that one statement that can be so easily overlooked every week. Mrs. Eddy stated that men and women are the idea, image and likeness of God. She taught us those great qualities that every relationship should be founded on. All of us can agree that relationships should be focused on the spiritual and good, so let’s come together in prayer with what we all can know is true. Error is trying to split Principia on a topic that brings out strong opinions. While we may have disagreements, let’s know that God is our Mind. Our one Mind. With our complete reliance on him, all of our thoughts will be lifted above any material views. Once we trust God enough to rely on him to guide us, we will all be able to become the best we can be. Please note the “behind the firewall” tag does not imply the material was taken from sources on the Principia campus, only that the information/article has taken a fair bit of searching to find and is likely still available through a rigorous search (or two).